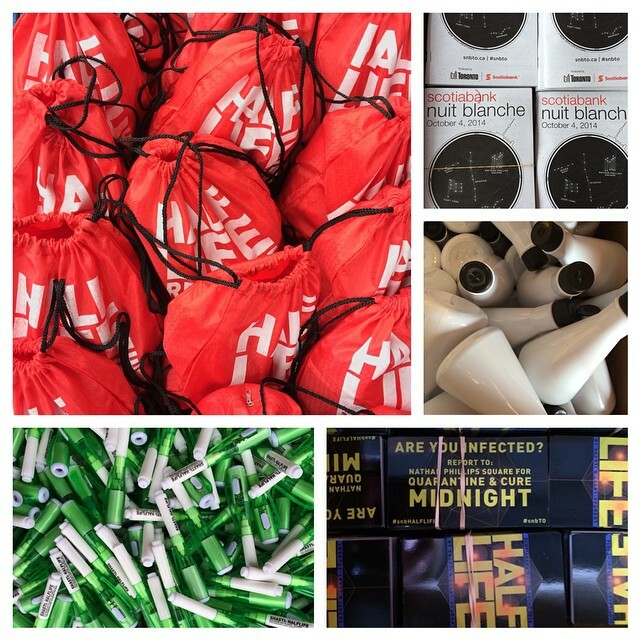 Served as Project Manager for the large-scale art project, SHASTI: HALFLIFE for Scotiabank Nuit Blanche 2014, Toronto, including organizing over 100 volunteers in a city-wide performance. 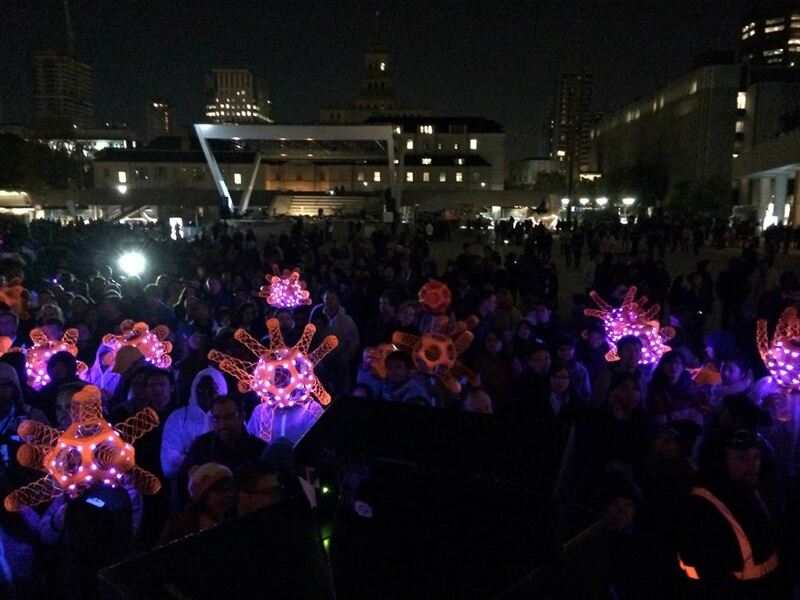 Premised on contagion, 100 volunteer performers were equipped with “viral” sculptural helmets, and accompanied by “technicians” who directly engaged with 10,000 festivalgoers by swabbing them with an invisible fluid that “tests positive” in the presence of ultra-violet light. 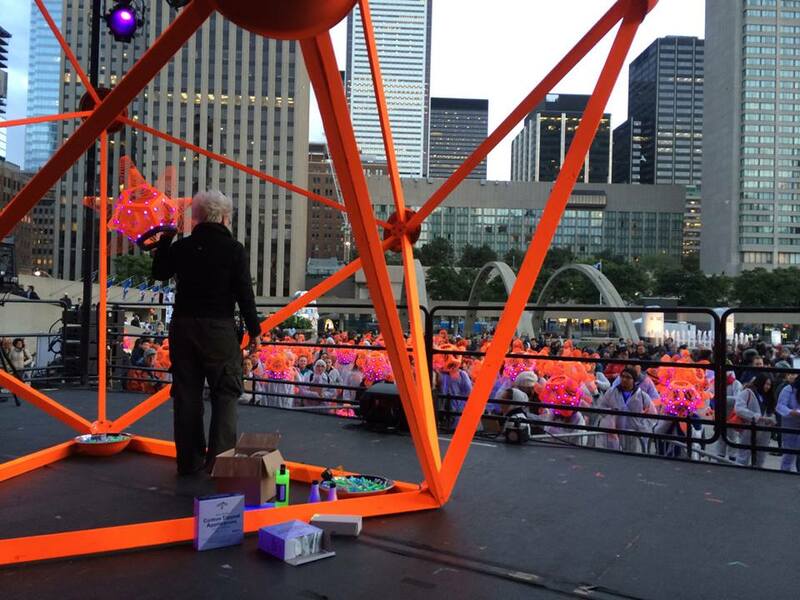 This work culminated in a mass “quarantine” at Nathan Phillips Square in front of Toronto City Hall. 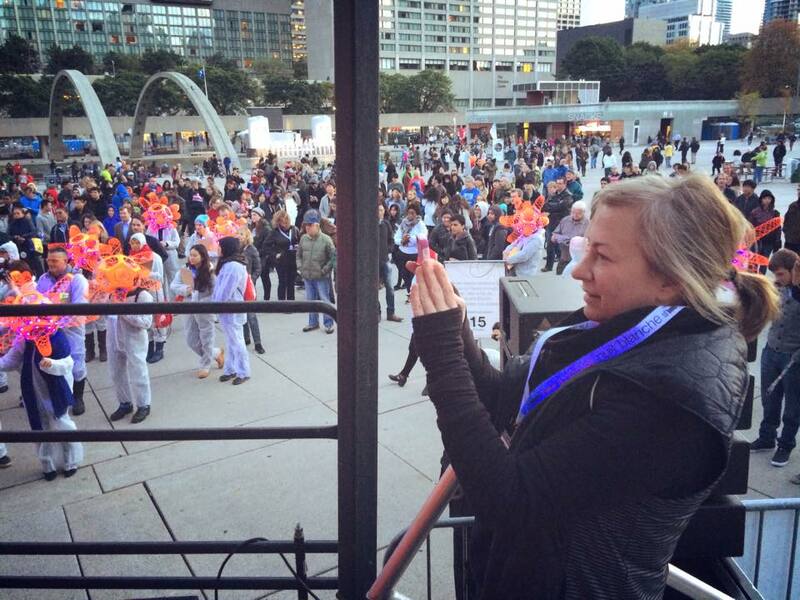 Commissioned by the City of Toronto, the piece was curated by Heather Pesanti for the Performance Anxiety exhibition.